Affordable Air Conditioning and Heating is South Orange County's best value for professional, cost-competitive heating services. Since 1985, we've offered expert heater/furnace sales, installation, replacement, repair, and maintenance services at very competitive rates. We've built and maintained a reputation for excellence by performing affordable heater/furnace services without compromising quality. Our bonded, licensed, and insured technicians are trained to install and service furnaces/heaters of all makes and models, and they can provide effective, economical solutions for almost any heating issue. If you're having problems with your existing heater/furnace, we can provide you with honest, straightforward, professional advice about the best and most cost-effective options. 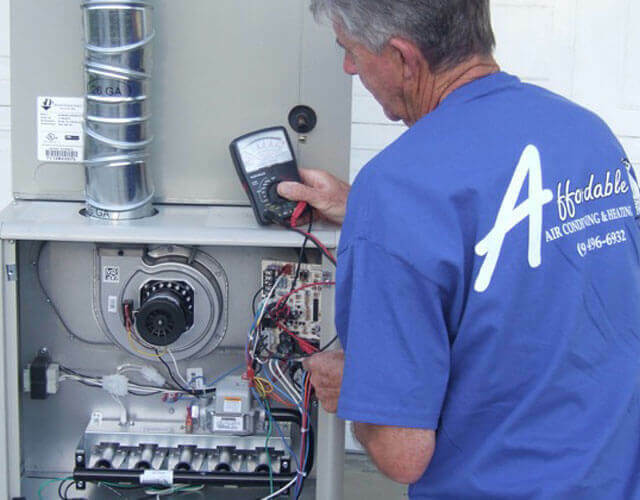 Our experienced technicians perform fast, reliable furnace/heater repairs, including after-hours emergency repair. They also perform comprehensive routine maintenance that can help maximize the energy efficiency of your current system, and prevent the need for repairs down the road. 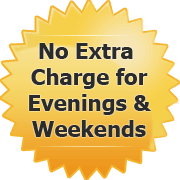 We offer convenient evening and weekend appointments for heater/furnace repair and maintenance, at no additional charge. Sometimes the most cost-effective option is to invest in a new, energy-efficient heater/furnace. Affordable Air offers the best deals on heater/furnace sales and installation in South Orange County, and we provide the most extensive warranties in the industry. Choose from our large inventory of competitively priced heating systems, including a wide selection of energy-efficient furnaces/heaters. Energy-efficient models can help significantly reduce your electricity use and lower your utility costs, and they can even qualify you for tax credits. You can also choose from our full range of furnace/heater and HVAC upgrades and accessories, including wireless programmable thermostats, home zoning systems, and air purification technology. We offer free onsite estimates for heater/furnace replacements and installations anywhere in South Orange County. Call Affordable Air today to schedule a free estimate, set up a convenient service appointment, or ask any questions. Clients are always welcome to speak directly with owner Paul Gillon, who has been installing and repairing air conditioning and heating systems since 1985. My air conditioner wasn't working properly. I called Affordable Air for an air conditioner repair and Paul diagnosed quickly that it needed freon. Affordable Air's service was on time, well done, and, as the company's name says, affordably priced. I'd recommend Affordable Air to anyone . . .